Relax in the heart of Fulton! Newly renovated and walking distance to dining, shopping, swimming, and Fulton Harbor! 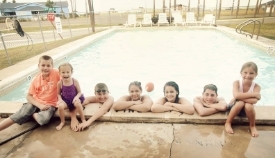 Located in the historic Rockport/Fulton area, the Harbor Lights Cottages is the perfect destination for travelers looking for relaxation and comfort, or travelers looking for the small town fun and hospitality. Families, fishermen, artists and winter Texans all enjoy the friendly atmosphere and the gulf breezes. Look in any magazine that features coastal areas and you will find that the rest of the world is beginning to discover this coastal treasure that is a place out of time. Harbor Lights is across the street from the waters of the Aransas Bay, Fulton Harbor, and Fulton park and playground. Harbor Lights Cottage #3 is a newly remodled 2 bedroom 1 bathroom cottage that will sleep 4 guests. Both of the bedrooms have a brand new queen sized beds and a dresser to keep your vacation attire in during your stay. The bathroom has a nice walk in shower and the kitchen is fully stocked and has all new appliances. Wifi is also provided and basic cable. There is a carport for parking and space for a boat and trailer if needed. 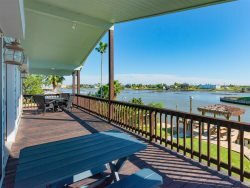 As a guest of Harbor Lights Cottage #3 you will have access to the beautiful shared swimming pool that overlooks beautiful Aransas Bay (will be ready for use May 24, 2019) and the shared bbq grilling area with charcoal grills. This cottage is not a pet friendly cottage. Everyone I communicated with was extremely friendly and knowledgeable. Everything during the stay went so well I did not have to contact anyone. I will definitely stay at Harbor Lights Cottages again (hopefully #3). I fell in love with this cottage. Thank you for a wonderful getaway! Very helpful and available. Very responsive to questions.